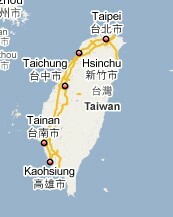 Taiwan Province is situated at China's southeast sea area, facing the Pacific to the east. It borders Bashi Channel to the south and to its west is the Taiwan Straits, facing Fujian Province on China's mainland. Taiwan Province has an area of about 36,000 square kilometers. Taiwan is a multi-island province -- the Taiwan Island proper and its scattering islands, such as the Penghu Archipelago, the Diaoyu Archipelago and so on. Taiwan has altogether 88 islands big and small. The general landform is extremely complicated, of which the mountainous area occupies 2/3 and the lower plain zone occupies 1/3. Taiwan Island proper is over 35,000 square kilometers, occupying more than 97% of the province's total area. It is China's biggest island and ranks 28th among all islands in the world. Taiwan belongs to the tropical and subtropical zones. However, being surrounded by seas in all sides, the majority of Taiwan region lies in the temperate and humid maritime climate zone. As is influenced by the maritime monsoon, Taiwan has neither severe winter nor extremely hot summer. The forests remain luxuriantly green and the flowers blossom in all seasons. Taiwan is also characterized by abundant rainfall and violent typhoon. It has an annual temperature of 22oC -- the hottest month, July, averaging 27-28oC and the coldest month, January, 15oC -- and an annual precipitation of over 2,000 mm. It is divided into 7 cities and 6 counties, with a population of 22.28 million people as of the year 2000. The food in Taiwan is similar to Yue (Guangdong) cuisine but has its own feature. Recommended selections of seafood are the oysters, prawns, baby abalone on the half-shell, poached shrimp, deep-fried shrimp rolls, steamed crab, and grilled teriyaki eel. Those who dislike seafood may try the next popular meat called the Black Chicken. Taiwan Province is known as Tai for short, and its political, economic and cultural center is Taipei City. Originally, Taiwan was settled by people of Malay-Polynesian descent, who initially inhabited the low-lying coastal plains. They called their island Pakan. There is a detail of an old Dutch navigational map with this name on it. During the subsequent settlement by the Dutch and the waves of settlers from China, the aborigines retreated to the hills and mountains, and became the "mountain people." 4,000 years ago, Taiwan was already under the rule of Chinese fabulous Xia Dynasty (21st century - 17th century BC). During the Yuan Dynasty (1271-1368), the emperor established an administrative organ to govern Taiwan and Penghu. In 1662 of the Ming Dynasty (1368-1644), the national hero Zhen Chenggong drove the Dutch invaders out of Taiwan. In 1855, Tai became a canton of the Qing Dynasty (1644-1911). It holds a strategic point of communication on the north-south sea of China and the communications hub of the West Pacific shipping line, and constitutes the natural barrier of China's southeast sea areas and the communication pivot of contacts among countries in the Pacific Region. Taiwan is an economically developed province of China. Industries are flourishing mainly in the fields of computer products, textile, electronic appliances, foodstuff processing, chemicals, petrochemicals, and metal smelting, etc. 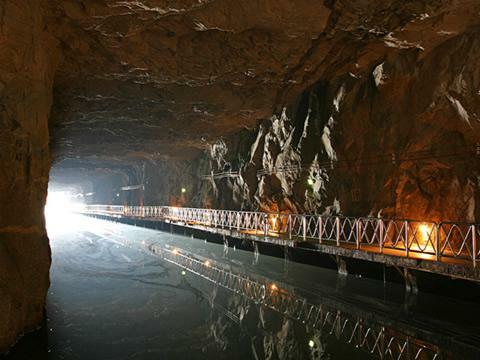 Taiwan is rich in resources of minerals, aquatic products, and forest vegetation. Its output of coral occupies about 80% of the world total production, winning the fame of "The Kingdom of Coral". In the field of agriculture, paddy rice, tea, sugarcane and fruits are produced in abundance. External trade occupies an important position in Taiwan's economy, with such main trading partners like the US, Japan, Hong Kong, German, Australia, and Singapore, etc. Surrounded by sea, Taiwan is as beautiful as a painting with bountiful tourist attractions. There are such significant places of historic interest and scenic beauty as Alishan Cloud Sea, Mazu Temple, Confucius Temple, Yangmin Mountain and others. Ninety-seven percent of Taiwan's population is the Han people, the rest are mainly the Gaoshan people ("mountain people") totaling about 300,000. The nine tribes of the "mountain people" are Atayal, Saisiyat, Bunun, Tsou, Paiwan, Rukai, Ami, Puyuma, and Yami. These tribes live in less accessible mountains, remote eastern Taiwan, and the offshore Orchid Island, where their culture and languages are relatively well preserved. Noted traits that were common to these groups included tattooing (except among the Yami and Bunun), pantheism and shamanism.